Economic Partnership | Williamson, Inc. The Williamson, Inc. Economic Partnership is comprised of leadership from the public and private sectors who have joined in an effort to make strategic economic growth in Williamson County a primary focus. Williamson, Inc. is the single point of contact for the coordination and facilitation of the continued development of Williamson County and its six municipalities. Its purpose is to grow Williamson County’s economy and improve the quality of life of residents by partnering with the public and private sectors to implement a set of strategic, multi-year initiatives to encourage job and wealth creation. BKD, LLP, a national CPA and advisory firm, helps people and businesses realize their goals. Our dedicated professionals offer solutions for clients in all 50 states and internationally. 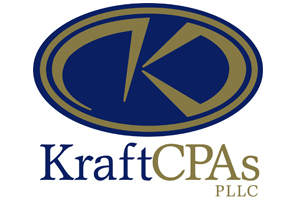 Since its inception in 1958, KraftCPAs PLLC has become one of the largest independent certified public accounting firms in Tennessee. Founded by the late Joe Kraft, KraftCPAs operates from three Tennessee office locations – Nashville (headquarters), Columbia and Lebanon. The firm provides not only assurance, tax and accounting, but a broad range of consulting services to help clients build, preserve and transfer business value and personal wealth. The LBMC organization began in 1984 with the formation of the CPA firm of Lattimore Black Morgan & Cain, PC. Now a Family of Companies, LBMC is among the fastest growing professional services firms in Tennessee. No matter the size or scope of your business, LBMC is what you need us to be. One of the strengths of our firm is the opportunity to be a “one stop shop” for clients seeking tax, audit, consulting and advisory services, human resources, staffing, investing and technology. LBMC prides ourselves on expert business support with comprehensive services that are customized to meet client needs. 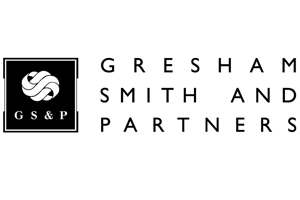 Gresham, Smith and Partners provides design and consulting solutions for the built environment that contribute to the success of national and international clients. GS&P consists of industry-leading professionals practicing architecture and engineering design as well as scientists and highly specialized planning and strategic consultants in Aviation, Corporate and Urban Design, Environmental Services, Federal, Healthcare, Industrial, Land Planning, Transportation and Water Resources. The company has proudly provided services in and around Williamson County since its founding in 1967. 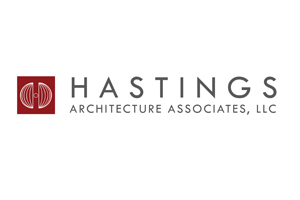 Hastings Architecture Associates, LLC is a high-energy, growing design firm of 60 offering architecture, interior design, planning and sustainability services. Continually inspired by our practice’s vibrant home city, Nashville-based Hastings brings innovative, contextual design to our work throughout the United States. Founded in 1985, the firm has developed expertise in academic, commercial, and community projects. Our architectural services include programming, design, facility analysis, schedule development, cost control, and project management, among others. Past and current projects feature an increasingly diverse array of building types, sizes, and budgets with strong specializations in institutional (local, state, federal government), healthcare, higher education, and wellness/fitness facilities. TMPartners provides additional services that include LEED and Green Globes facilitation, life safety drawing consolidation, and design standards creation for healthcare corporations. 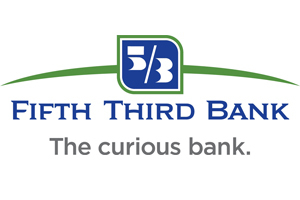 Fifth Third Bank is a diversified financial company headquartered in Cincinnati, OH, operating in 12 states. 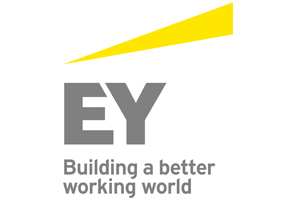 Its four main businesses include wholesale banking, branch banking, consumer lending and investment advisors. Fifth Third Bank entered the Nashville market in 2006 with the acquisition of Franklin National Bank. The affiliate later expanded into the Knoxville area and operates 36 full-time retail banking locations. Founded in 1909, First Farmers and Merchants Bank is a Tennessee-based community bank, locally owned and operated, offering a full range of consumer lending and deposit products; residential construction and mortgage loans; business banking, commercial banking and cash management products and services. 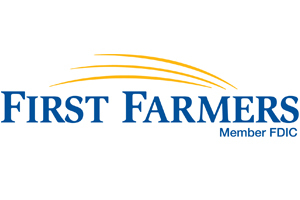 In addition, First Farmers offers customers access to brokerage and investment products and services as well as Trust services. 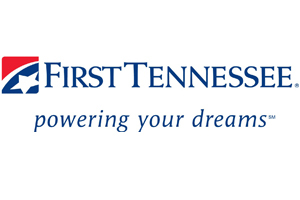 First Tennessee Bank is Middle Tennessee’s premier financial services company with a long history of success and traditions dating back to 1864. We offer a wide-range of financial solutions, including checking, savings, lending, and business banking. Our mission is to be the best at serving our customers, one opportunity at a time. 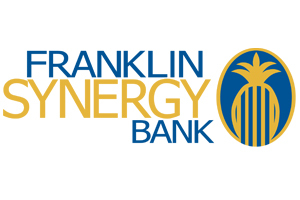 Franklin Synergy Bank is your locally owned Community Bank located in Franklin, TN. The bank has 14 branches, with offices in Williamson, Rutherford, and Davidson Counties. 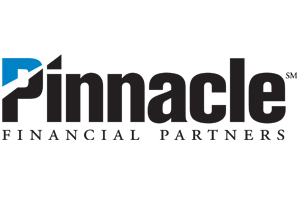 Pinnacle Financial Partners provides a full range of banking, investment, trust, mortgage and insurance products and services designed for businesses and their owners and individuals interested in a comprehensive relationship with their financial institution. Pinnacle is the second-largest bank holding company headquartered in Tennessee, with 29 offices in eight Middle Tennessee counties and four offices in Knoxville. Regions Financial Corporation, with $127 billion in assets, is a member of the S&P 500 Index and is one of the nation’s largest full-service providers of consumer and commercial banking, wealth management, mortgage, and insurance products and services. 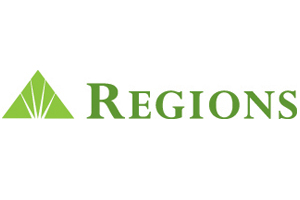 Regions serves customers in 16 states across the South, Midwest and Texas, and through its subsidiary, Regions Bank, operates approximately 1,700 banking offices and 2,100 ATMs. Additional information about Regions and its full line of products and services can be found at www.regions.com. 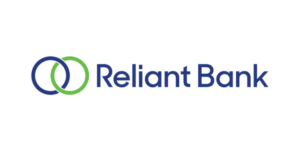 Reliant Bank is a locally owned community bank that offers a full range of banking products and services to business and individual customers in Williamson and Davidson Counties. Based in Brentwood, Tenn., the bank began operations in Jan. 2006 and has been a community favorite. Reliant Bank is a Member FDIC and Equal Housing Lender. Al. Neyer is a nearly 125-year-old company that specializes in commercial real estate development and design-build construction. Founded in 1894 and employee-owned since 2014, we develop and build office, industrial, medical office, mixed-use multi-unit residential projects. Al. 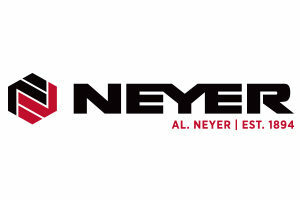 Neyer’s headquarters is in Cincinnati, and we have offices in Nashville and Pittsburgh. 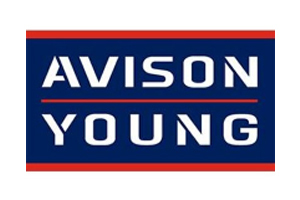 Avison Young is a full-service, commercial real estate services firm with a unique model, culture and approach. Avision Young is a private company, designed to put client relationships and their success at the center of everything we do. Client relationships are typically led by one of the company Principals, who are also the owners of the company. Because they are owners, our Principals have a deeper commitment to driving client and company performance. There are no hand-offs to junior brokers or corporate departments. Customers benefit from the trust, quality and consistency that result only from ongoing senior-level expertise, involvement and accountability. Avision Young eliminated service-line silos. They focus on talent, not business unit P&Ls. No internal conflicts. They bring the right expertise to solve client challenges, every time. This translates into greater collaboration, alignment, less bureaucracy and, ultimately, more intelligent real estate solutions that lead to better results. Because Avision Young are private, they answer to clients, not public shareholders. They prioritize long-term partnerships and performance over transaction volumes and quarterly performance metrics. Boyle is a developer of master planned mixed-use commercial communities that stand the test of time. 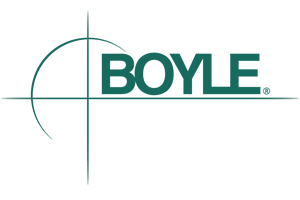 Dating back over 80 years, Boyle is a family-owned company that focuses on the long-term ownership of properties. Boyle is an owner-operator of our properties, which we feel is a competitive advantage in that it enables us to control execution and to deliver on what we say we will do for our tenants and partners. While many commercial real estate companies represent landlords and tenants, our team at Cherry & Associates specializes in exclusively representing tenants and buyers of commercial space and properties. Our no-conflict approach allows us to deliver objective, unbiased, advice, as well as provide high-value services that give you the best possible value for your real estate investment. Duke Realty owns, maintains an interest in or has under development approximately 154.1 million rentable square feet of industrial and office assets, including medical office, in 22 major U.S. metropolitan areas. More than 800 associates provide leasing, property management, site selection, development, financing, and construction services to its clients. Duke Realty Corporation is publicly traded on the NYSE under the symbol DRE and is listed on the S&P MidCap 400 Index. Foundry Commercial was founded as CNL Commercial Real Estate in 2007 and launched as Foundry Commercial in 2015 through a management-led buyout. Foundry Commercial is a full-service real estate services and investment company with 336 employees and nearly 52 million square feet of space under management across the Southeast and Texas. We provide corporate services, brokerage, leasing, building management and project management services, and we are also the largest real estate service provider to religious and not-for-profit organizations in the country. Our development and investment platform is fully integrated into its services business, leveraging its local market expertise to control more than $1.3 billion in advantaged investment opportunities in partnership with clients. 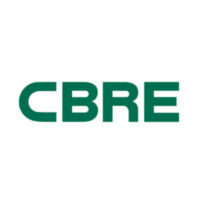 Hall Capital Commercial Real Estate and Spectrum | Emery have partnered to form Hall | Emery, a full-service real estate development and investment firm. Hall | Emery combines the investment insight, experience and capabilities of Hall Capital Commercial Real Estate with the 30 year development experience and best in class operating platform that Pat Emery and team have built over the years, most recently with Spectrum | Emery. Highwoods Properties, headquartered in Raleigh, NC, is a publicly traded (NYSE:HIW) real estate investment trust (REIT). Highwoods is a fully integrated REIT that owns, develops, acquires, leases and manages properties primarily in the best business districts (BBDs) of Atlanta, Kansas City, Memphis, Nashville, Orlando, Pittsburgh, Raleigh, Richmond, Tampa and the Triad. Teamwork relies upon the coordination of individual talents to achieve goals higher than one can accomplish individually. Southeast Venture offers clients comprehensive solutions to their real estate needs by presenting a diverse team with experience in every facet of real estate. Since forming Southeast Venture in 1981, the company’s service philosophy has allowed them to build and maintain lasting relationships that are based upon offering a range of services that respond to clients’ real estate needs. To give clients the personal attention and service they deserve, Southeast Venture emphasize principal involvement in every relationship. Southeast Venture is a fully integrated real estate services company with multiple disciplines in Brokerage, Development and Design. More specifically, these divisions include Sales & Leasing, Property Management, Development Management, Architecture and Interior Design. Whether using one discipline, or relying on the strength of the entire team, clients benefit from their understanding that each member of the team relies upon the expertise and talent of the others to achieve the clients’ goals. SouthStar is a commercial real estate development company that operates across various platforms including retail, mixed-use, medical office buildings and master planned residential communities. Having the ability to identify, acquire, plan and develop income producing properties throughout the Southeast has given us recognition and respect across the industry. Bell and Associates Construction, L.P.
Bell and Associates Construction, L.P. is a recognized leader in the construction industry and has developed a national reputation for the successful delivery of projects as a general contractor as well as providing Construction Management services where we provide a complete package of Preconstruction and Construction services. With offices in Brentwood and Knoxville Tennessee, we have completed projects across the Southeastern United States to award-winning standards. We provide construction services in the following markets: Commercial/Corporate Offices, Hospitality, Higher Education, K-12 Education, Sports/Entertainment, Aviation, Justice, and Transportation. Our reputation is as solid as our product: committed to excellence, client service and a dependable record of on-time, on-budget performance. Regardless the size or difficulty of the project, Crain collaborates to find the best solution and deliver on our commitment to schedules and budgets. Owners and subcontractors have come to depend on Crain for outstanding safety, prompt project delivery, wide range of experience, competitive pricing and strong relations with local codes officials, subcontractors and material suppliers. Starting with preconstruction, Crain considers the owner’s needs and incorporates those those into the design, including timeline of delivery, equipment necessities, production flow and clients workforce. Clients know Crain will be a considerate neighbor, maintain a safe worksite and engage in ongoing communication through successful completion of the project. DWC Construction has served the Middle Tennessee area for over 65 years and is focused exclusively on commercial and industrial interior build-outs, renovations, retrofits and additions. Specializing in interiors has allowed us to provide the highest quality results for our clients. Our capabilities and experience position us to assist our clients from concept to completion; from space or building assessment to budgeting, space planning and design services, to value engineering and project execution. Our team approach to providing construction solutions has earned us long-term relationships with our clients. We help them by providing cost-effective turnkey solutions to office, legal, industrial, medical, hospitality, retail, educational, historic and specialty construction projects. Flow Construction Company is a Commercial General Contractor based in Nashville, TN. Since 1991, FCC is a recognized leader that brings expertise and project experience which includes Healthcare (Medical, Dental and Diagnostic Imaging), Retail, Church, Banking, Data Centers, Multi-Family and Corporate projects, that includes ground-up, renovations and tenant improvements. Lee Company is your professional provider of comprehensive solutions and services for your business and home. With core competencies in HVAC, plumbing and electrical, we are committed to finding innovative and original solutions – thoughtfully and reliably – to meet the specific needs of every customer. As a building owner, whether your solution needs are construction, engineering, service, building systems analysis, or facility management for industrial, healthcare, government, and commercial facilities, Lee Company’s real value is its fully integrated approach to the delivery of these services. Skanska is one of the largest, most financially sound construction and development companies in the country with expertise in construction, civil infrastructure, public-private partnerships and commercial development Skanska has had a local presence since 1977 and has built numerous local iconic buildings including: Nissan Americas Corporate Office, L.P. Field, and the Nashville Downtown Library to name a few. Current projects include: Children’s Patient Tower/Emergency Dept. at Williamson Medical Center, Nashville Downtown West River Front Park and Nashville Convention Center Redevelopment. Turner’s Nashville office has been open for nearly 40 years providing Construction Management services across the Southeast Region. Clients from both the public and private sectors seeking a construction company that values teamwork, integrity and commitment, can rely on Turner to add value to their projects. Turner’s resources, experienced staff, collaborative approach, and innovative processes combine to make Turner a builder of choice for clients who want a partner committed to their goals. T.W. Frierson Contractor, Inc. is a family owned business that has worked with one mission in mind: do the right thing for our clients. Since 1958 we have built millions of square feet for thousands of delighted clients. Our company was built on the principles of integrity, quality and partnership and has been essential to our success. Our philosophy, combined with our expertise has built a long list of successful projects and repeat clients. Our roster of commercial construction projects includes industrial, warehouse and distribution, senior living, institutional, tenant improvements, office and bank facilities. Dr. Fish helps senior executives solve complex people problems and ensure they have the most effective leadership in place to reach their strategic objectives. She has worked with Fortune 500 and Fortune 50 companies in fields as diverse as retail, aviation, manufacturing, publishing, entertainment and health care. She can help you develop higher level leadership behaviors and deal with the complex dynamics that often characterize top-tier executive playing fields. Gallagher is one of the world’s largest insurance brokerage, risk management services and human capital consulting firms. Every day our clients and prospects face massive challenges across a range of issues. Gallagher’s advisors understand an organization and how hard they work to deliver on promises. We act as a global partner to our clients in protecting, restoring and rebuilding their organization to be sure they are poised for growth and success. Our employees are fueled by teamwork, creativity and an entrepreneurial spirit. On a global scale, we provide a full range of retail and wholesale property and casualty brokerage and alternative risk transfer services, extensive employee benefit consulting, and actuarial services. Gallagher also offers claims and information management, risk control consulting and appraisal services, human resource consulting, and retirement services to clients around the world. Vaco is a senior level consulting and executive placement firm. Vaco partners with clients and candidates to provide people-driven solutions in the areas of finance, accounting, technology, healthcare and administration. Founded in middle Tennessee in 2002, Vaco is now a nationwide family of 29 like-minded LLCs dedicated to developing long-term relationships, life-long careers and creative client solutions. Mars Petcare US is the U.S. operations of the world’s largest petcare company within the privately-held Mars, Incorporated. Mars Petcare US produces some of the world’s most beloved pet care brands, including PEDIGREE® Food for Dogs, CESAR® Canine Cuisine, SHEBA® Entrée for Cats, WHISKAS® Food for Cats, THE GOODLIFE RECIPE® Brand, and TEMPTATIONS® Treats for Cats, as well as exclusive brands products for some of the leading retailers in the U.S. Headquartered in Franklin, Tenn., more than 2,100 Mars Petcare US associates make, sell and distribute its high-quality pet food from 13 manufacturing facilities located in communities across the U.S. For more information, please visit www.mars.com. The Center for Executive Education offers a variety of programs geared towards executive leaders. Programs focus on advancing executive careers, expanding leadership skills, becoming an expert in an executive field, improving team performance and more. In order to accommodate executive leaders, The Center for Executive Education offers open enrollment, executive coaching and customized solutions. Delek US Holdings is a diversified downstream energy company with operations in three primary business segments: petroleum refining, logistics and convenience store retailing. The logistics segment gathers, transports and stores crude oil, as well as markets, distributes, transports and stores refined production in the southeast US and west Texas. The Retail segment markets gasoline, diesel and other refined products through a network of approximately 362 company-operated fuel and convenience stores located in seven states under a number of regional brands, including the MAPCO Express®, MAPCO Mart®, East Coast®, Fast Food and Fuel™, Favorite Markets®, Delta Express® and Discount Food Mart™ brand names. 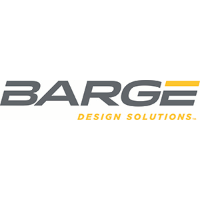 Barge Design Solutions, Inc., (formerly Barge, Waggoner, Sumner and Cannon, Inc.) focuses on improving the quality of life in the communities and industries we serve. The firm includes engineers, architects, landscape architects, planners and surveyors in offices in Tennessee, Alabama, Georgia, Ohio, and Texas. The company is ranked No. 199 on Engineering News-Record’s Top 500 Design Firms list. Founded in 1988, Engineering Consulting Services (ECS) is a leader in geotechnical, environmental, construction materials and facilities engineering. At that time, ECS Limited’s goal was to raise the standards of professional consulting engineering by hiring industry professionals who understood the complexities of building and maintaining modern infrastructures. Our company success spans multiple industry sectors. ECS Limited’s steady growth comes from a deep belief in developing the people, systems and expertise required to focus on client needs. Today, with over 1,500 employees, ECS has grown to more than 50 offices and testing facilities spread across the Mid-Atlantic, Midwest, Southeast and Southwest. ECS is currently ranked 81 in Engineering News-Record’s Top 500 Design Firms (ENR, April 2017). An employee-owned firm, ECS provides innovative solutions and responds to client needs with value and high-quality service in a variety of market sectors. Their goals are to help clients realize success with their projects, and to provide professional and personal development for our employees. Their expertise, solution-oriented focus, client responsiveness and commitment to employee and job safety have built our reputation in the industry as the firm to call when exceptional service matters most. ECS strives to be an industry leader with a growing network of offices and employees who share one commitment: to provide high-quality, innovative consulting engineering services. ECS mission is to be the engineering firm of choice in the markets we serve. Founded in 1987, Edmonds Engineering is a Professional Engineering Services firm, offering Mechanical and Electrical Project Design Services and Facilities Engineering Services in commercial and industrial markets. Additional design services such as Plumbing, Fire Protection, Technology Planning, Arc Flash, and Commissioning are all designed by our engineering team with over 450 years of experience. We partner with architects, contractors, and owners to create cost effective, high value solutions for our clients, and have a 4.8 out of 5 customer satisfaction rate. Edmonds is Headquartered in Birmingham, Alabama, and has branch locations in Jackson, Mississippi; Tuscaloosa, Alabama; Huntsville, Alabama; and Nashville, Tennessee. With over 65 employees and 20 licensed professional engineers, we are a client focused firm with a commitment to customer satisfaction. We pride ourselves on responsiveness to our clients and attention to detail with every project, regardless of scope or size. Over our history, Terracon has achieved significant expansion through both internal growth and acquisitions. Terracon currently has more than 4,000 employees in 140 offices, serving all 50 states nationwide. Additionally, we partner with our U.S. clients to serve their international needs. The firm’s success is further evidenced by a current ranking of 30 in Engineering News-Record’s 2016 list of the Top 500 Design Firms, as compared to a ranking of 58 a decade ago. Terracon’s growth is due to dedicated employees who are responsive to clients, provide quality services, and take advantage of opportunities in the marketplace. TTL, Inc. is an environmental and geotechnical consulting firm dedicated to serving the needs of our clients. Our services include geotechnical engineering, analytical laboratory testing, construction materials testing, and environmental consulting. Our professional staff has dedicated themselves to providing practical, cost effective solutions to the concerns and challenges faced by our clients on projects throughout the Southeast and beyond. Locally, we are proud to have been part of the team for Westhaven, Berry Farms, Drury Plaza Hotel, McEwen Drive, Music City Center, Omni Hotel, ICON in the Gulch, and Schermerhorn Symphony Center. Since 1992, Ramsey Solutions has been helping people crush debt and build a legacy. It all started with small counseling sessions to help folks catch their breath from financial stresses, and it has grown to an organization of more than 550 people who are 100% dedicated to our mission. The City of Franklin is a bustling community where people come to live, work and play. The City of Franklin Government is comprised of fourteen departments to serve our citizens. Our vision is to continually strive to be a community of choice for individuals, families and businesses to grow and prosper through an excellent quality of life supported by exceptions, responsive, and cost effective City Services. The Town of Nolensville is a thriving municipality that resides in the northeast corner of Williamson County. Nolensville continues to strive in preserving the past while preparing for the future. Tremendous efforts are ongoing to maintain and preserve the historic downtown area, while philosophies and principles are continuously assessed to prepare for the future in a cultured, responsible manner. Located approximately 25 miles south of Nashville amid the rolling hills and pastoral countryside of Middle Tennessee, the inviting Town of Thompson’s Station is a great place to live. Steeped in history from its earliest settlers in 1780 to the stirring Battle of Thompson’s Station and as a stop along Tennessee’s Great Train Trail, the town’s tranquil environment and convivial atmosphere is worlds apart from hectic urban lifestyles, yet near to all that world-renowned “Music City” and surrounding communities have to offer. Williamson County is one of Tennessee’s most-prosperous counties, home to major corporate headquarters, historic town centers, quiet neighborhoods, an abundance of shopping and retail, and plenty of open spaces. Just south of Nashville, Williamson County offers quality education options, with schools that routinely achieve some of the top test scores in the state. Acadia is a provider of inpatient behavioral healthcare services. Acadia operates a network of 75 behavioral healthcare facilities with more than 5,500 licensed beds in 24 states, the United Kingdom and Puerto Rico. Acadia provides psychiatric and chemical dependency services to its patients in a variety of settings, including inpatient psychiatric hospitals, residential treatment centers, outpatient clinics and therapeutic school-based programs. Cigna is a global health service company with a mission to help improve the health, well-being and sense of security of the people we serve. Our global workforce embodies this mission through its collective role as champions for our customers and communities. Our strategic focus is centered on delivering high quality, affordable, and personalized products and solutions to our customers and clients by leveraging our differentiated strengths as well as our talent and localized approach. We continue to solve for the market needs of our partners that are ever evolving, including those of our customers, clients and communities, as well as the government and healthcare professionals. Accountability: We don’t say, “It’s not my fault,” or “It’s not my job.” We take responsibility for meeting our commitments — our personal ones as well as those of the entire organization. We take ownership of the results. Community Health Systems is one of the nation’s leading operators of general acute care hospitals. The organization’s affiliates own, operate or lease 110 hospitals in 19 states with approximately 18,000 licensed beds. LifePoint Hospitals® is a leading hospital company dedicated to providing quality healthcare services close to home. We provide our hospitals the resources and support they need to deliver the highest quality care and services to growing regions, rural communities and vibrant small towns across the nation. At LifePoint, local community involvement is at the center of our philosophy of care. Our hospitals are among the largest employers, taxpayers, and businesses within their communities. Onlife Health is a national wellness solutions company dedicated to transforming lives through healthier living. With two decades of experience, Onlife fosters highly personalized, sustained engagement that begins with a deep understanding of each client’s unique wellness goals and culture. Combining the use of a dedicated health coach, support communities, onsite events, and the latest technologies, Onlife creates a tailored wellness program based on individual clients’ and employees’ needs. Onlife’s engaging, interactive approach creates trusted relationships that inspire, energize, and guide people to make lasting changes in their lives, leading to improved health. Provision CARES Proton Therapy Nashville, a nonprofit healthcare provider, opened as the 29th proton center in the United States in October 2018, offering advanced proton therapy cancer treatment in the middle Tennessee region. Proton therapy targets the tumor and delivers less dose to surrounding tissue or nearby organs, thus reducing side effects and complications during and after treatment. The center features the ProNova SC360 system, the first and only super conducting 360 degree compact system on the market, manufactured in Tennessee. Saint Thomas Health, a regional health system, is Middle Tennessee’s faith-based, not-for-profit health care system united under the common mission of one healing community. Saint Thomas Health, is focused on transforming the health care experience and helping people live healthier lives, with special attention to the poor and vulnerable. Saint Thomas Health is a member of Ascension Health, a Catholic organization that is the largest not-for-profit health system in the United States. For more information, visit www.sthealth.com. Health is more than a state of being. It’s a commitment to doing. greater physical activity, connectivity and productivity. Doing it all with spirited creativity and a sense of positivity. Vanderbilt University Medical Center has grown into a world-class enterprise where nearly 20,000 staff and faculty are driven to make a difference for people through education, discovery and patient care. Ranked the No. 1 hospital in Tennessee by U.S. News and World report, VUMC has 834 patient beds, with an additional 271 beds in Monroe Carell Jr. Children’s Hospital at Vanderbilt. With nearly 2 million visits among both hospitals, staff treat patients from all over the world. Williamson Medical Center is a 185-bed hospital fully accredited by The Joint Commission that provides comprehensive inpatient and outpatient care including emergency services, with credentialed physicians in over 50 specialties and sub-specialties. Williamson Medical Center is recognized as a leader in providing less- invasive advanced surgical procedures. WMC planned expansions include a new children’s emergency department and pediatric unit dedicated to inpatient care for children set to open in Spring 2015. Paradigm Group is the largest independently owned benefits broker in Middle Tennessee. Paradigm Group’s mission is to help clients stay competitive, compliant, and in command of their employee benefits programs. Paradigm Group partners with leading employers in Nashville’s business community, supporting organizations and their employees since 1996. Managing financial risk, compliance requirements, and employee satisfaction can be an exhausting juggling act. Paradigm Group partners with your human resource management team to provide expertise and strategic guidance in the areas of employee benefits and retirement plan solutions—empowering you and your team to make the best decisions for your employees and the organization as a whole. Paradigm Group delivers unbiased vendor guidance tailored to your business needs. Averaging more than 15 years of experience, their dedicated team of consultants are ready to help you determine the best benefits offerings while meeting the highest standards of compliance and employee satisfaction. Paradigm Group’s business approach is guided by their core values that cultivate excellence, teamwork, and mutual trust with our valued clients, carriers, and vendors. This approach has resulted in more than 20 years of successful advocacy on clients’ behalf. In a world where third party payors seek to control the practice of medicine, CIMplify is the physician’s advocate. CIMplify is what many payors fear most – a company with state-of-the-art information technology and seasoned professionals who know how to play the game better than they do. CIMplify is on the physician’s side, not theirs. All practice management obstacles aren’t insurance-related. CIMplify offers a complete array of business solutions specially tailored to medical practices. Together, we can put today’s medical practice ahead of the game – and keep it there. An industry pioneer with over 45 years of experience, Franklin Madison builds financial security for individuals and families by delivering industry-leading insurance products and marketing services through our brand partners. The Company helps generate increased loyalty and incremental revenue for more than 3,500 financial institutions. Franklin Madison’s primary investor is Mill Point Capital, a New York-based private equity firm focused on investing in strong, established businesses looking to grow. Based in Franklin, Tennessee, Franklin Madison has approximately 200 employees. Whether you are a financial professional or an investor, we understand that you have a choice in financial services providers. We could not be more pleased that you have chosen to explore Jackson as a potential fit for your needs. Trust is the most critical currency in any relationship, and ensuring you are comfortable with who we are (and who we are not) is our first and most important job before earning your business. Our corporate values serve as an excellent starting point for getting to know us, as the ways our associates drive, embody and fulfill these values are a big part of what makes us unique. Adams and Reese is a multidisciplinary law firm with attorneys and advisors strategically located throughout the southern United States and Washington, DC. It is our business to know and understand our clients, their business, their current needs, and their future plans. We provide leadership strategies and proactive solutions by assembling teams of attorneys and advisors to identify and meet the specific needs of our clients. Providing legal services on a regional, national and international level, our firm represents industry leaders ranging from S corporations to local businesses to Fortune 100 organizations. Bradley’s Nashville office was founded in 1910 as Boult Cummings Conners & Berry and merged with Bradley in 2009. We are the second-largest Bradley office and the third-largest law firm in Nashville. We offer a full suite of legal solutions for local, regional, and national clients, with a focus on healthcare, real estate, and litigation. Since our founding, we have earned a reputation for providing top-quality legal representation and delivering business-focused solutions with the highest level of ethical standards. Giving has been in the DNA of Bradley’s Nashville office from the very start. John T. Conners, one of our founding members, bequeathed scholarship funds to many charitable organizations, including an award to help rising ninth graders at Saint Henry’s School attend Father Ryan High School. Our law firm is also active in supporting other worthy organizations, such as the Second Harvest Food Bank, Habitat for Humanity, and the Arts and Business Council. In 2015, we focused our charitable giving on the Second Harvest Food Bank of Middle Tennessee, hosting or participating in seven events and raising $17,456 through individual and firm giving. In total, the Nashville office volunteered for more than 3,000 hours, worth more than $1 million, in 2015, while donating to more than 150 charities. We have been recognized by the Nashville Business Journal for corporate charitable giving in 2012, 2013, 2014, and 2015. APCOM, a manufacturer of water heater parts, is a community-minded member of Franklin providing employment opportunities through innovative manufacturing and logistics since 1969. We currently produce thermostats, heating elements, dip tubes, molding, glass (porcelain enamel), gas burner assemblies, anodes, spuds, flanges, and other cold headed products as well as stamped metal products. Flash Technology provides certified FAA aviation obstruction lighting systems and monitoring equipment for towers, wind farms, buildings, and other tall structures. Our specialized LED and Xenon lighting products serve the telecommunications, broadcast, wind-energy, airport and utilities markets. In addition Flash Technology is the leading 3rd party provider of 24 x 365 compliance monitoring services for aviation obstruction lighting. Horn USA manufactures high performance carbide cutting tools for the North American precision machining industry. Our products are used by automotive, aerospace, hydraulic, pneumatic, jewelry and medical equipment manufacturers. The HORN Group, with its main plant in Tübingen, Germany, established its North American headquarters in Franklin, TN in 1998 and started manufacturing tools locally in 2001. From food to energy to transportation to medicine, our highly-skilled team makes the tools that are used to improve the human condition and our environment. Produces and distributes electric fans, humidifiers and heaters. Fridrich & Clark Realty has grown to become one of the largest and most trusted independent real estate firms in Middle Tennessee. We’ve accomplished this growth by maintaining our trademark values of experience, service and integrity with every client we serve. Under the skilled leadership of Steve Fridrich and Whit Clark, our team of more than 150 agents combines the latest technology with marketing expertise and an unmatched knowledge of the local housing market to help buyers and sellers with their residential and commercial real estate needs. Parks Realty is home to over 800 agents in five counties, making it one of the largest locally-owned real estate companies in Middle Tennessee. Established over 40 years ago, Parks is honored to be consistently recognized for excellence as a Top Workplace by the Tennessean and a Fastest-Growing Company by the Nashville Business Journal. Providing residential, commercial, auction, property management, and relocation real estate services, Parks exists to inspire our agents, employees, and communities where we live, work, and play. 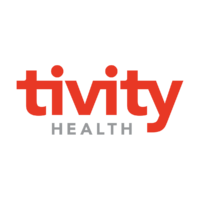 We create personalized experiences through relationship-based service combined with adherence to the highest standard of integrity to give our clients a seamless transition to their new lifestyles. 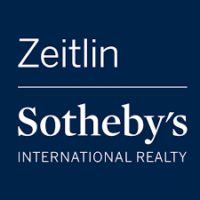 Zeitlin Sotheby’s Relocation provides comprehensive relocation services to new and existing companies as they recruit and hire talent into the Middle Tennessee area. Over the last 40 years, Zeitlin Sotheby’s Relocation has relocated and provided customized relocation services to individuals and companies from across the country. Our goal is to assume the details of relocation on behalf of the client resulting in a seamless transition into or out of the area. 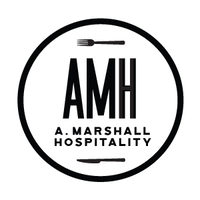 Each family owned eatery focuses on providing friends new and old with home-cooked food and Southern hospitality, the Marshall way. Andrews Transportation Group is a collection of family-owned dealerships located on Cadillac Drive in Maryland Farms, Brentwood. We’ve been selling new and used cars since 1979 to customers in the greater Nashville area including Brentwood and Franklin, TN. We are a full-service automotive dealership with new car sales, a large selection of pre-owned vehicles, our own in-house collision center, a retail parts operation, and an award winning Service Department. Developed, owned and managed by CBL & Associates Properties, Inc. of Chattanooga, Tennessee, CoolSprings Galleria is a more than one million square-foot super-regional shopping destination featuring more than 150 stores including Ann Taylor, Banana Republic, Brighton Collectibles, Coach, Forever 21, J. Crew, Pottery Barn, Pandora, The Apple Store, The Art of Shaving, White House | Black Market, Williams-Sonoma and many more. CoolSprings Galleria is anchored by Belk, Dillard’s, JCPenney, and Macy’s and is conveniently located off I-65 at exits 68 and 69 just fifteen miles south of Nashville. For additional information, find us on Facebook at www.Facebook.com/CoolSpringsGalleria, follow us on Twitter @ShopCoolSprings or visit www.CoolSpringsGalleria.com. Tractor Supply Company serves the rural lifestyle by offering a comprehensive assortment of merchandise: (1) equine, livestock, pet and small animal products, including items necessary for their health, care, growth and containment; (2) hardware, truck, towing and tool products; (3) seasonal products, including lawn and garden items, power equipment, gifts and toys; (4) work/recreational clothing and footwear; and (5) maintenance products for agricultural and rural use. The Company, headquartered in Brentwood, has local retail stores in Fairview, Franklin, Thompson’s Station and Triune. Sustained Quality Group is a leading provider of talent acquisition, quality assurance, and managed services throughout North America. With a focused staff within Automotive, IT and Manufacturing, our team can provide the right resources for your project, temporary or permanent positions. UL Workplace Health & Safety empowers customers with the industry’s most comprehensive suite of software and information solutions designed to protect the well-being of workers, ensure organizational peace of mind, and drive measurable business improvement. Backed by UL’s 120 years as a worldwide leader in safety and supported by a team of in-house experts, UL Workplace Health & Safety provides solutions for safety management, occupational health, and eLearning. Grand Avenue (GA) is a diversified transportation and logistics company focused on superior service, safety and reliability. 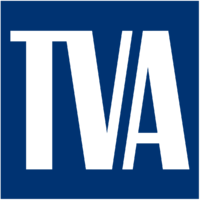 GA provides chauffeured transportation from sedans to 56 passenger motor coaches for businesses in middle TN, the hospitality industry, city and state government, the music industry, professional sports teams and the citizens of the greater metropolitan Nashville area including Williamson County. GA provides local and worldwide transportation for all of our clients. We service over 500 cities worldwide. The Metropolitan Nashville Airport Authority (MNAA) was established in 1970, and owns and operates Nashville International Airport (BNA) and John C. Tune Airport (JWN). Serving over 10.6 million passengers annually, BNA is the sixth fastest growing airport among the top 50 airports in North America. For more information, please visit www.flynashville.com. Like us on Facebook at facebook.com/NashvilleInternationalAirport and follow us on Twitter: @Fly_Nashville. Atmos Energy Corporation, headquartered in Dallas, is one of the country’s largest natural-gas-only distributors, serving over three million natural gas distribution customers in over 1,400 communities in eight states from the Blue Ridge Mountains in the East to the Rocky Mountains in the West. Atmos Energy serves customers in east, middle, and west TN. Atmos Energy manages company-owned natural gas pipeline and storage assets, including one of the largest intrastate natural gas pipeline systems in Texas and also provides natural gas marketing and procurement services to industrial, commercial and municipal customers primarily in the Midwest and Southeast. For more information, visit www.atmosenergy.com. Atmos Energy can also be accessed through social media platforms such as Facebook, Twitter and YouTube. Middle Tennessee Electric Membership Corporation is a not-for-profit electric distribution cooperative. Serving Williamson County since 1936, its mission is to provide affordable, reliable, safe electricity with outstanding member service. Economic and community development are also at the core of its founding principles of service.